Clickjacking attacks have been around the web since 2008. Now they are more active than before, penetrating the systems through the Facebook users. The clickjacking is often called ‘the invisible enemy’ as it can’t be seen, nor reasoned with. Clickjacking happens when a person in internet, who can be a scam artist or just a regular hacker, places a special interface element for the users, a transparency layer or an invisible button on the top of a web page button that seems ok.
For example, there might be a button on the web page reading ‘Clock here to see…(whatever)’ , which is hidden on the top of that button. The invisible button will lead you to a link, showing you content that you otherwise will never agree to click on. Tricking you into enabling a camera or a microphone on your computer. Tricking you into becoming a Twitter follower for someone you do not like. Tricking you into changing your Facebook privacy settings. Tricking you into “liking” things you do not normally like. Step 1. Update the Internet browser that you use, including the plug-ins. The user should always work with the latest version of the browser, so that you do not miss an upgrade that might keep you from being clickjacked. 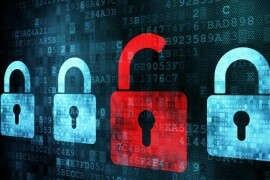 The security updates of Internet Explorer, Firefox, Chrome and the other Internet browsers are important, so do them. 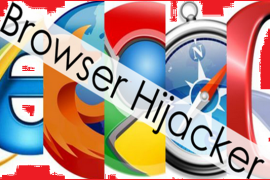 The browser plug-ins should also be updated, as the older versions might be vulnerable to the attacks of the clickjackers. Step 2. Run Software for Clickjacking detection & prevention. NoScript – Firefox anti-clickjacking plug-in, free of charge. Comitari Web Protection Suite-Home Limited Edition – free version, feature limited. You should know that the prevention of clickjacking is shared responsibility between the users and the developers of websites and web applications.